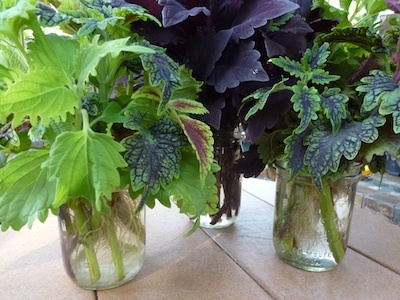 In the afternoon shade, this beautiful coleus looks black. 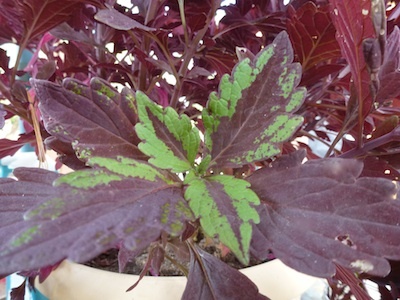 It looks good mixed with other leafy ornamentals like coleus and heuchera plants. I love coleus because it gives you color all season. Flowers are good for a week our two. But the coleus always has that color or texture or shape. New coleus are being created very quickly these days. So, I like that they are a frost sensitive annual. To me it means I can try several new ones every year. More Hub pages Checkout my pepper and tomato reviews on HubPages. This entry was posted in Ozarks Travel Examiner and tagged coleus, Color Blaze, perennial, Proven Winner, Proven Winners, trial plant. Bookmark the permalink.